Myers Industries has retained Hanold Associates for their Chief Human Resources Officer (CHRO) search, based in Akron, Ohio. Keri Gavin, Kile Hanold and Sonia Nagra are leading the search. Established in 1933, Myers Industries, Inc. has grown from a small storefront distributing tire service supplies into an international manufacturing and distribution enterprise. The company now manufactures a diverse range of polymer products for industrial, agricultural, automotive, commercial and consumer markets. 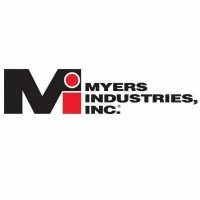 Operating within their two core segments: Material Handling (70% of sales) and Distribution, Myers Industries is a leader in the manufacturing of plastic reusable containers, pallets and plastic fuel tanks and is the largest distributor in the United States of tools, equipment and supplies for the tire, wheel and under-vehicle service industry. With 13 manufacturing facilities, more than 20 sales offices, four distribution centers and three distribution branches located throughout the United States, Canada and Central America, Myers Industries has approximately 15,000 manufactured products, over 13,500 distributed products and approximately 2,000 employees. Myers Industries’ brands provide safe and efficient solutions to a wide variety of customers around the world and in diverse niche markets. 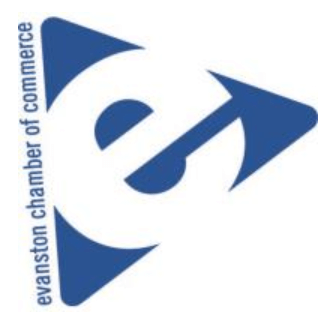 Their products and solutions help customers improve shop productivity with point of use inventory, store and transport products more safely and efficiently, improve sustainability through reuse, lower overall material handling costs, improve ergonomics for their labor force, eliminate waste and ultimately increase profitability. Myers Industries’ employees think and act like owners, implementing long term improvements both internally and for their customers. Reporting to Myers Industries’ CEO, David Banyard, the CHRO is a close strategic partner to the leadership team to drive a safe, performance-driven and customer-centric culture across the organization. He/she will play a key role in establishing and strengthening the HR function and will be tasked with upgrading the function’s ability to support the growing and changing needs of an evolving business and industry. As a culture champion, this leader will keep the pulse of the organization and help Myers Industries’ leadership team evolve the company, expanding the business while maintaining a focus on operational excellence. Critically, this individual will have a strong field orientation and an innate understanding of how to grow the capacity of talent. In this highly visible role, the CHRO will encourage the development of the company and HR team by bringing energy and creativity while building consensus around new ideas and initiatives. A crucial early responsibility for this individual is building and developing the HR team to effectively support the business. To do this, she/he will establish a strong advisory relationship with the senior leadership team, peers within the HR function, the Board and the CEO. Importantly, this individual must be energetic, analytical and innovative.